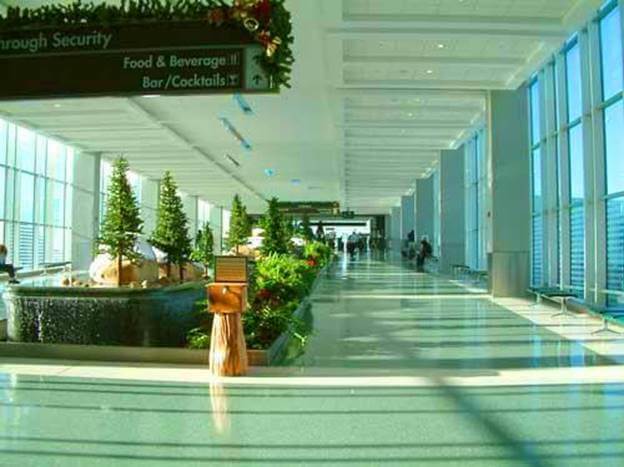 McGhee Tyson Airport encourages its passengers to come to the airport at least 1.5 hours before the scheduled domestic flight and 2 hours before the scheduled international flight. The baggage is better to be checked-in in advance as well. Notably, the ticketing counters usually close 30-45 minutes before the scheduled departure flight. The valid boarding pass shall be provided at the security control checkpoint. Moreover, printed out version is the boarding pass is better to be delivered. Specific requirements for the luggage size/weight and contents are indicated at the check-in and security control. Thus, the 3-1-1 regulation enables the passengers to travel with only a 3.4 oz bottle, one quart-sized clear plastic bag, and carry one bag only. The flights departing from McGhee Tyson Airport are aimed to Fort Lauderdale, Las Vegas, Orlando, PuntaGorda, St. Petersburg/Clearwater, Baltimore, Fort Walton Beach, Newark, Charlotte, Dallas, Miami, New York, Philadelphia, Washington, Atlanta, Detroit, Minneapolis, Denver, Houston.